We are totally committed to protecting the environment. It is our aim is to place green printing practices at the forefront of our sustainable eco friendly printing business. By investing at the front end that allows for a tailored approach to printing, we can offer an eco friendly printing service. Our bespoke green printing packages include both paper and ink, and we can adapt our services to incorporate your eco printing needs. Over the past 5 years we have made significant inroads into reducing our carbon footprint, making ASK Print a carbon neutral company. We source the bulk of our paper from renewable sources, and always take the eco friendly printing route where it is economically viable. 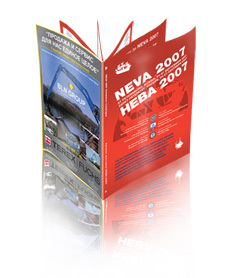 We see one of the biggest challenges facing the print industry today as the use of chemicals in the printing process. To help overcome this issue, ASK Print has made investments in the latest digital press technology that utilises organic ink matter, and which has a better paper transfer rate. As this system does not require film or printing plates, and the press uses less electricity, it is far more environmentally friendly than using traditional lithographic printing presses. However, all this does come at a cost, and this method may not prove economical for all of your projects. At ASK we will therefore give you the choice, but leave you, the customer, with the decision as to whether your budget will allow you to take the greener printing option. These are just examples of the ways we are pushing for greener working practices. If you would like more information about our green printing and eco friendly printing service, please call one of our dedicated customer service team on 01284 777909.